2.7L / 3.5L / 3.6L Engine Dress Up Accessories. Chrysler, Dodge & Jeep 2.7L, 3.5L & 3.6L Engine Accessories. 2.7L, 3.5L & 3.6L Engine Dress Up. Engine Accessories Parts for V6 Chrysler, Dodge & Jeep. 8.0L / 8.3L / 8.4L Engine Dress Up Parts. Dodge Viper & SRT10 Engine Dress Up Parts by American Brother Designs and American Car Craft. 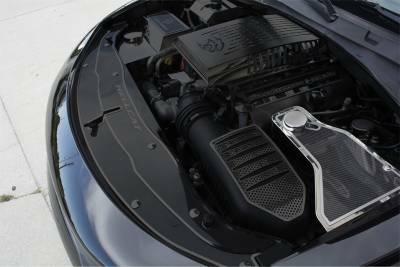 8.0L, 8.3L & 8.4L Engine Dress Up Parts will set off your engine compartment! 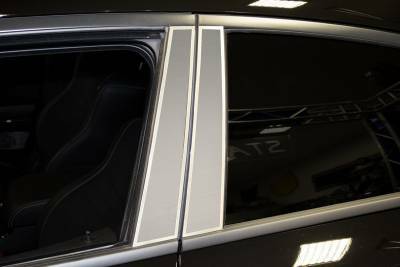 05-18 Chrysler 300 Light Covers / Black Outs by GT Styling (GTS). Chrysler 300C Headlight Covers, Tail Light Covers and Fog Light Covers for 05-10 Chrysler 300 as well as 11+ Chrysler 300. Available for V6, Hemi and SRT Chrysler 300. 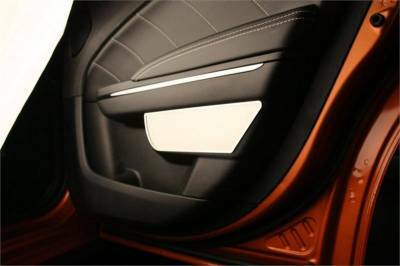 Dodge Challenger Exterior Trim from FastHemis. 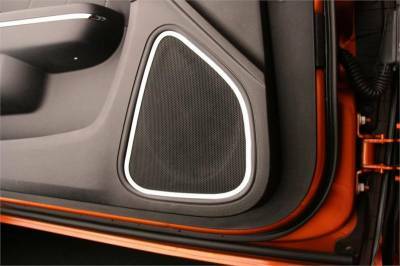 08-15 Challenger Exterior Trim Accessories include Stainless Products by American Car Craft and Carbon Fiber by Seibon Carbon. 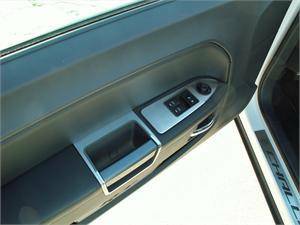 Dodge Challenger Exterior Trim! Dodge Challenger Grille. 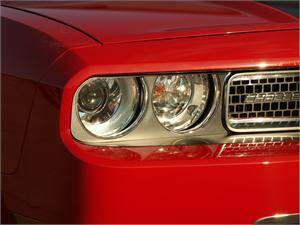 08-15 Dodge Challenger Mesh, Stainless or Billet Grilles are available. 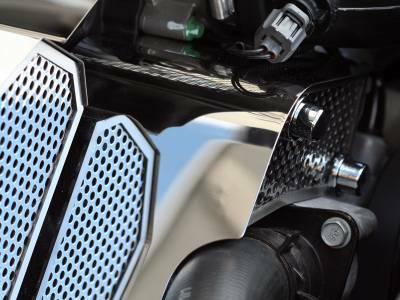 Black or Silver Mesh, Polished Stainless or Polished Billet for Dodge Challenger. Available in Upper & Lower Sets. Dodge Charger Grille. 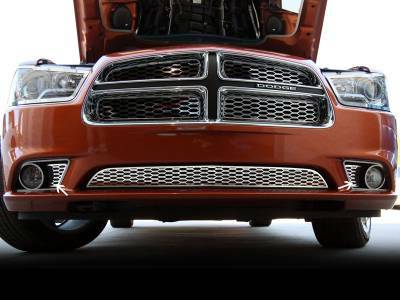 Grillcraft Mesh, Stainless or Billet Upper & Lower Dodge Charger Grille. 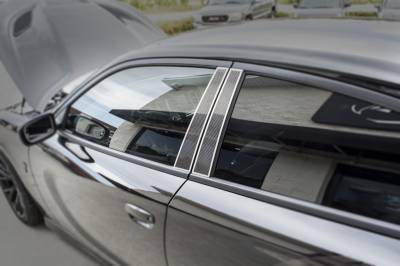 06-14 Dodge Charger Grilles available in Black or Silver Mesh, Polished Billet or Polished Stainless Finishes by Grillcraft, TRex & Others. Dodge Charger Light Covers aka Black Outs. Dodge Charger Headlight, Tail Light & Fog Light Covers by GT Styling for 06-14 Charger V6 Hemi or SRT8. 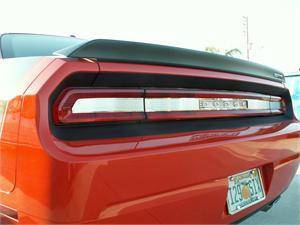 Get the "Black Out" affect with a set of Dodge Charger Light Covers by GTS. Dodge Magnum Stainless Engine Accessories / Dress-up Parts. 05-08 Dodge Magnum Hemi SRT8 Stainless Engine Accessories by American Car Craft. 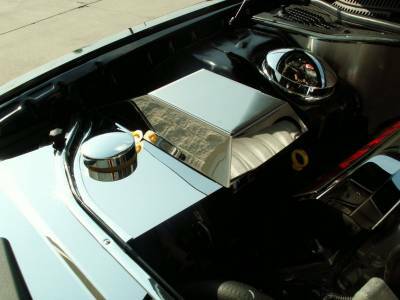 Dress Up the Underhood of your Magnum with some Stainless Engine Accessories from FastHemis! Dodge Ram Body Kit. 03+ Dodge Ram 1500 Body Kits include Front & Rear Bumpers, Side Skirts & Roll Pans. Body Kit for Dodge Ram provides aggressive styling and a lowered appearance. Dodge Ram Body Kits from FastHemis. 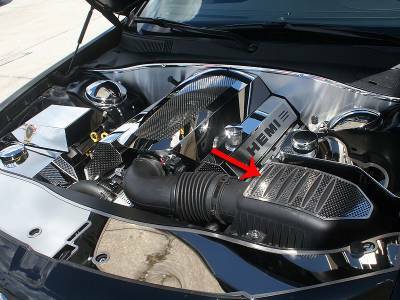 Dodge Ram SRT10 Engine Accessories. Dodge Ram SRT10 Engine Dress Up Parts. 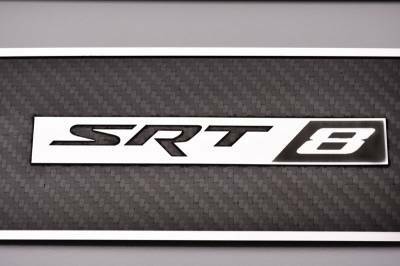 Choose from Ram Ram SRT10, Carbon Fiber or Stainless Engine Accessories for your Dodge Ram SRT10 1500. 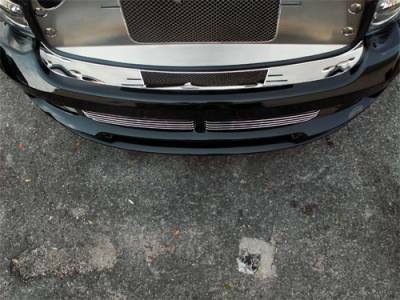 Dodge Ram SRT10 Engine Accessories are show stoppers. 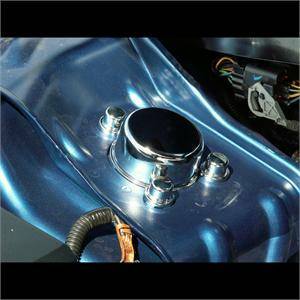 Dodge Ram Stainless Steel Accessories / Dress Up Parts. 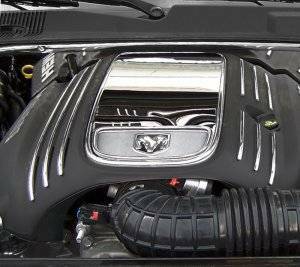 Dodge Ram 5.7L Hemi Stainless Underhood Engine Accessories by American Car Craft. 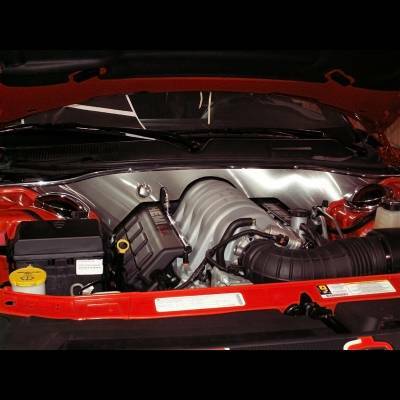 Show Quality Stainless Engine Accessories for 03+ Dodge Ram Hemi. Take home the trophy with ACC. 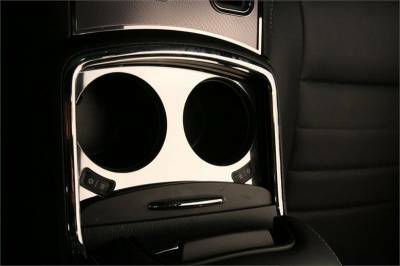 Hemi Carbon Fiber Interior Accessories. 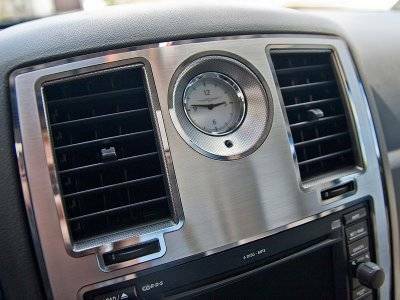 Hemi Carbon Fiber Interior Accessories include Carbon Fiber Dash Kits and Carbon Fiber Interior Trim for Chrysler, Dodge & Jeep. Hemi Carbon Fiber Interior Trim. Hemi Grilles. 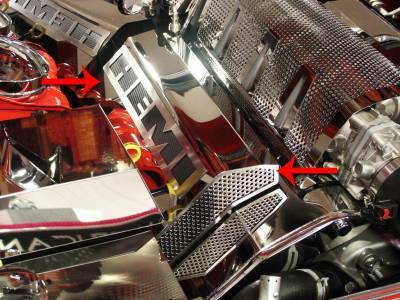 Hemi Mesh, Billet or Stainless Grilles. 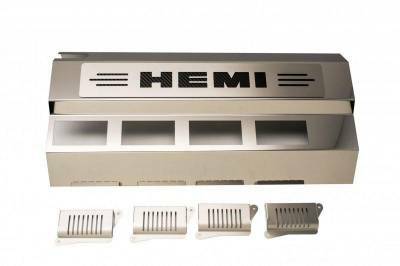 Hemi Grilles for 300, Challenger, Charger, Magnum, Ram, Dakota, Durango & More. 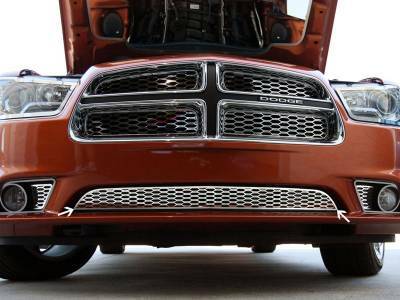 Hemi Grilles by Grillcraft, Grip Tuning, American Car Craft & More. Upgrade with Hemi Grill. 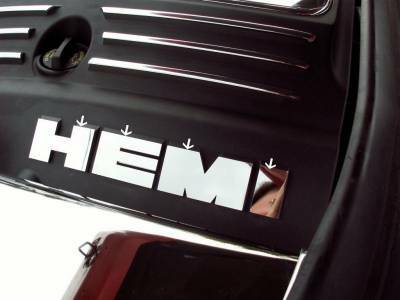 Hemi Interior Trim Accessories. 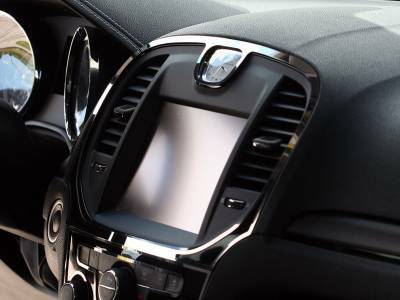 Hemi Interior Trim includes Billet Interior Trim by Billet Technology and Stainless Interior Trim by American Car Craft are available for Chrysler, Dodge & Jeep. Hemi Interior Trim. 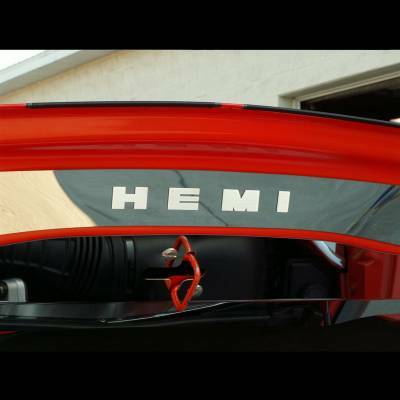 Hemi Exterior Trim Accessories. 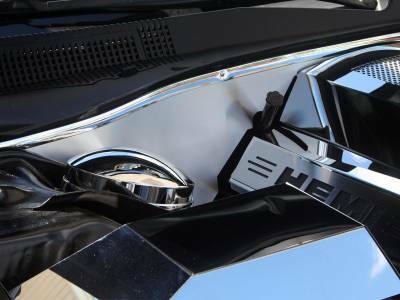 Hemi Exterior Trim Accessories for Chrysler, Dodge & Jeep. 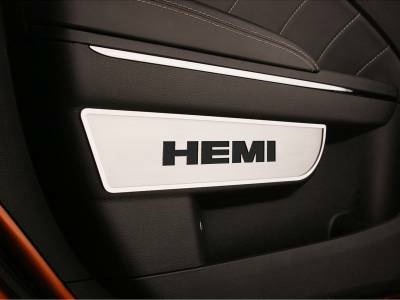 Hemi Exterior Trim includes Stainless Trim by American Car Craft, Billet Trim by Billet Technology & Seibon Carbon Fiber Trim. Made to order, please allow 7-10 business days before shipping. 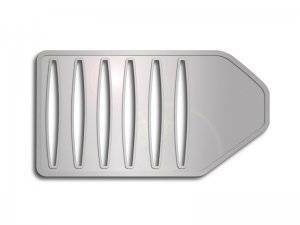 Description: 392 Polished Fuel Rail Covers by American Car Craft for 11-19 Chrysler 300, Dodge Challenger, Charger & Jeep Grand Cherokee 6.4L 392 SRT8. 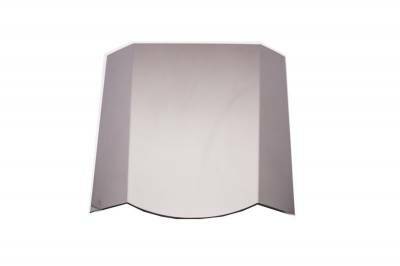 Available in regular or illuminated version, with optional different color LED's to choose from. 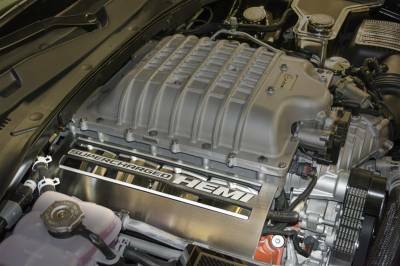 Description: American Car Craft 09-19 5.7L Hemi Engine Shroud Dress Up Kit for the Dodge Challenger R/T 153008. American Car Craft is known for it's show-winning stainless dress up parts for the Hemi vehicles. Take home the trophy with ACC! 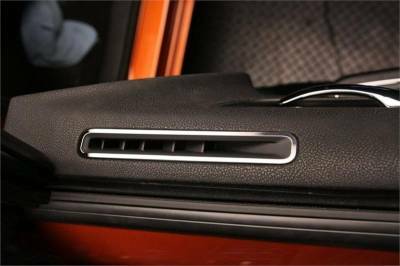 Description: American Car Craft Polished A/C Door Vent Trim for the 11-14 Dodge Charger R/T 331005. 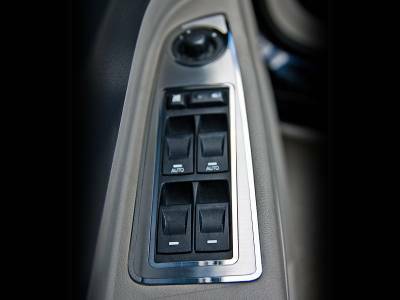 The All-New ACC Polished A/C DoorVent Trim Kit is available in Polished Finish for the Dodge Charger 2011-2012. Take home the trophy with ACC Stainless! 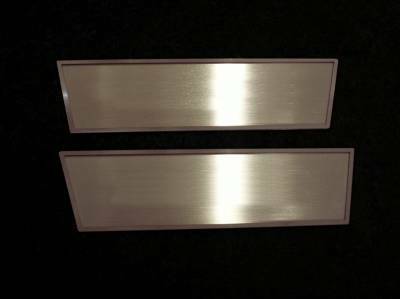 Description: American Car Craft A/C Vent Trim Outer 2Pc Polished/Brushed: 05-10 300C / Charger / Magnum 301003. American Car Craft is a design company dedicated to developing unique high quality products. With more than thirty years of experience. 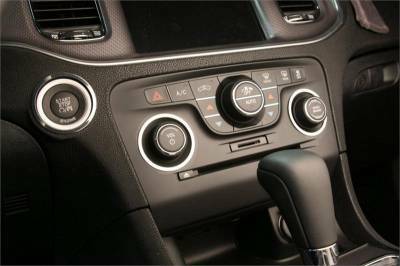 Description: American Car Craft Brushed A/C Control Trim Plate for the 08-14 Dodge Challenger R/T SRT8 151018. American Car Craft is known for it's show-winning stainless dress up parts for the Hemi vehicles. Take home the trophy with ACC! 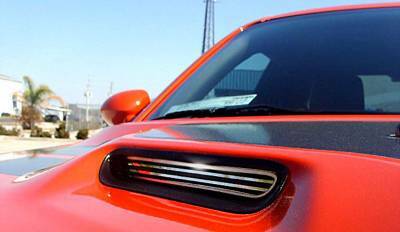 Description: American Car Craft Brushed A/C Vent Trim Kit (5pc) for the 08-14 Dodge Challenger R/T SRT8 151004. American Car Craft is known for it's show-winning stainless dress up parts for the Hemi vehicles. Take home the trophy with ACC! Description: American Car Craft Brushed Bumper Insert Trim Plate for the 08-14 Dodge Challenger R/T SRT8 151008. Another award wining stainless engine dress up part from ACC. Bring home the trophy with American Car Craft for your Challenger! 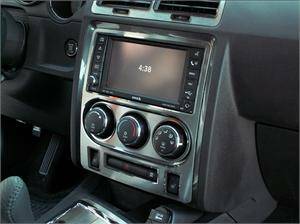 Description: American Car Craft Brushed Center Dash Trim Plate for the 08-14 Dodge Challenger R/T & SRT8 151019 / 151028. 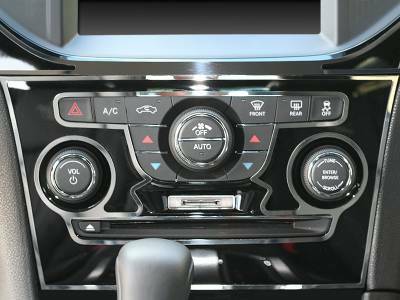 Available WITH or W/OUT Seat Warmer Buttons for Dodge Challenger, ACC Brushed Center Dash Trim Plate is another winner! 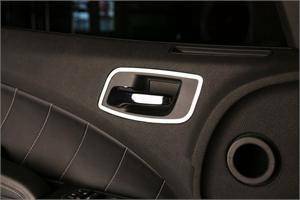 Description: American Car Craft Brushed Door Control Trim for the 08-14 Dodge Challenger R/T SRT8 151002. American Car Craft is known for it's show-winning stainless dress up parts for the Hemi vehicles. Take home the trophy with ACC! 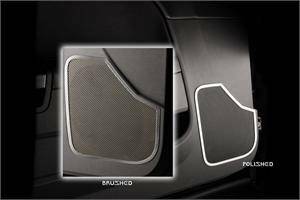 Description: 151032 American Car Craft Brushed Door Badge Plates (Challenger) for 08-16 Dodge Challenger The All-New ACC Brushed Door Badges are available in R/T, HEMI, SRT8, 425HP, 6.1L, SE & Plain. 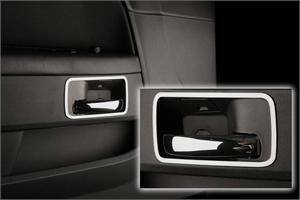 Description: American Car Craft Brushed Door Handle Pull 2PC for the 08-14 Dodge Challenger R/T SRT8 151003. American Car Craft is known for it's show-winning stainless dress up parts for the Hemi vehicles. Take home the trophy with ACC! 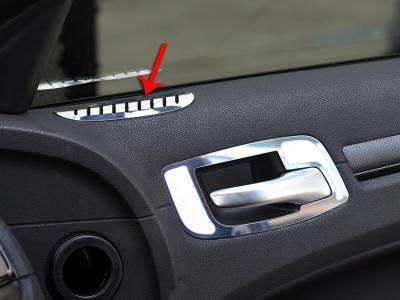 Description: American Car Craft Brushed Glove Box Trim Plate for the 08-14 Dodge Challenger R/T SRT8 151011. American Car Craft is known for it's show-winning stainless dress up parts for the Hemi vehicles. Take home the trophy with ACC! 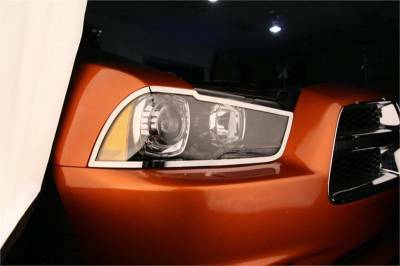 Description: American Car Craft Brushed Headlights Surrounds for the 08-14 Dodge Challenger R/T SRT8 152001. Another award wining stainless engine dress up part from ACC. Bring home the trophy with American Car Craft for your Dodge Challenger!! 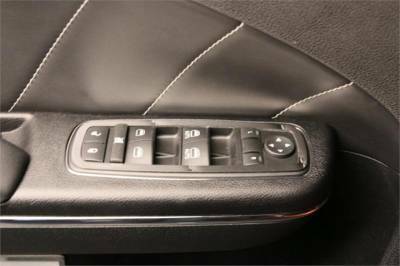 Description: American Car Craft Brushed Light Control Trim Plate for the 08-14 Dodge Challenger R/T SRT8 151005. American Car Craft is known for it's show-winning stainless dress up parts for the Hemi vehicles. Take home the trophy with ACC!! 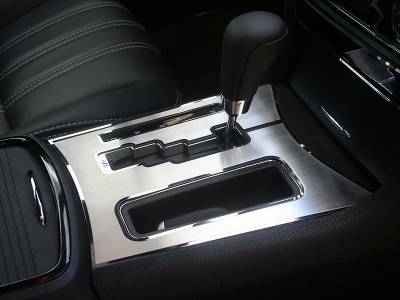 Description: American Car Craft Brushed Outer Shifter Plate for the 08-14 Dodge Challenger R/T SRT8 151017. American Car Craft is known for it's show-winning stainless dress up parts for the Hemi vehicles. Take home the trophy with ACC! 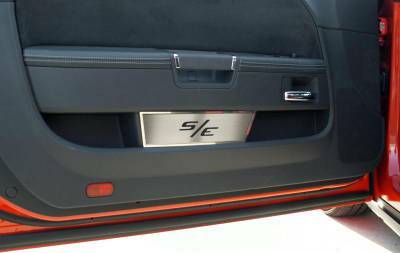 Description: American Car Craft Brushed Rear Door Badges HEMI for the 11-14 Dodge Charger R/T 331009. 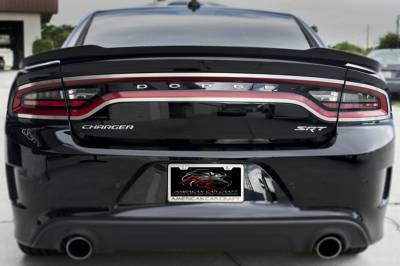 The All-New ACC Brushed Rear Door Badges are available for the Dodge Charger 2011-2012. 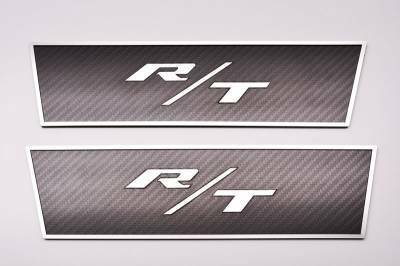 Take home the trophy with ACC Stainless Rear Door Badges 2PC! 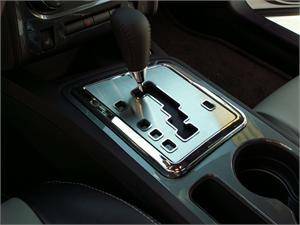 Description: American Car Craft Brushed Shifter Plate for the 08-12 Dodge Challenger R/T SRT8 151001. American Car Craft is known for it's show-winning stainless dress up parts for the Hemi vehicles. Take home the trophy with ACC Stainless! 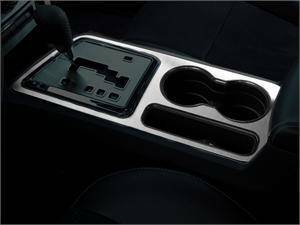 Description: American Car Craft Brushed Side Console Trim Plate for the 08-14 Dodge Challenger R/T SRT8 151020. American Car Craft is known for it's show-winning stainless dress up parts for the Hemi vehicles. Take home the trophy with ACC! 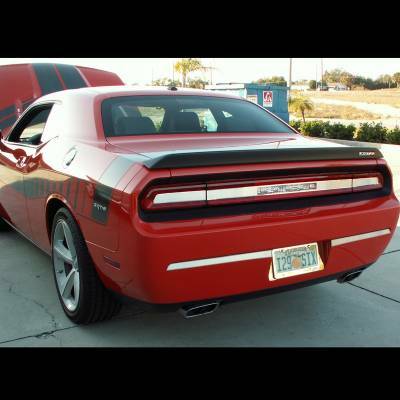 Description: American Car Craft Brushed Tail Light Insert Time Plate for the 08-14 Dodge Challenger R/T SRT8 152006. Another award wining stainless engine dress up part by ACC. Bring home the trophy with American Car Craft for the Challenger! 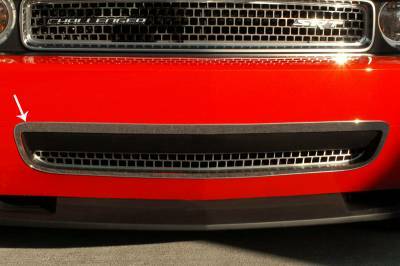 Description: American Car Craft Brushed Taillight Trim 4pc 332008 2015 Dodge Charger. Make your 2015 Dodge Charger 100% unique. 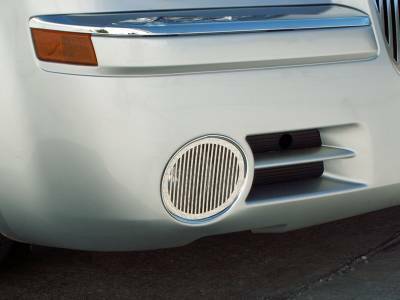 Add these handcrafted stainless steel taillight trim pieces to your car and easily experience a custom car. 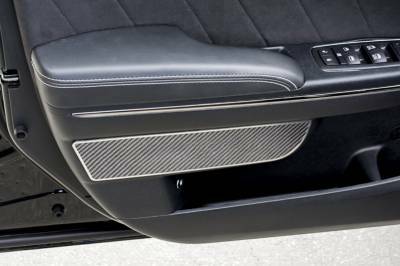 Description: 08-14 Dodge Challenger Carbon Fiber Glove Box Handle Trim by American Car Craft 151044. 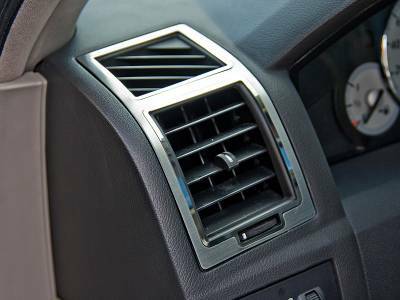 Turn an ordinary part into something extraordinary when you install our Carbon Fiber Glove Box Trim on your 2008-2014 Dodge Challenger! 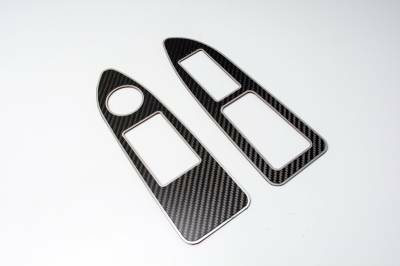 Description: 08-14 Dodge Challenger Carbon Fiber Shift Plate by American Car Craft 151041. 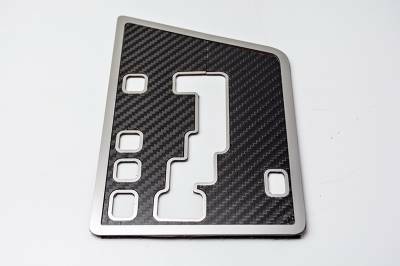 Modernize the interior of your 2008-2014 Dodge Challenger with a high quality carbon fiber and stainless steel Carbon Fiber Shifter Plate Overlay. 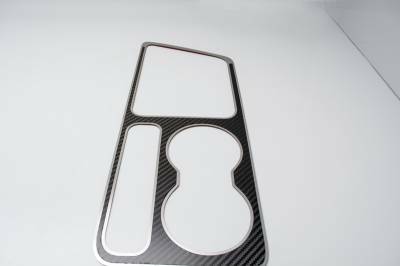 Description: American Car Craft Carbon Fiber Front Header Plate 333035 11-15 Dodge Charger. 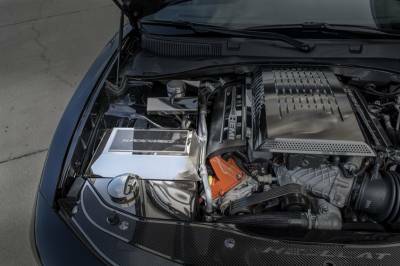 Need more carbon fiber in your 11-15 Charger engine bay? 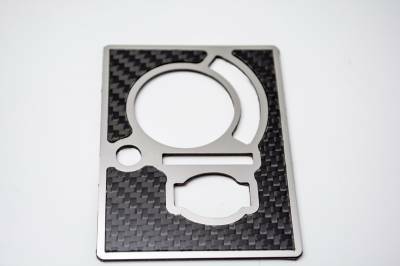 Our Carbon Fiber Water Tank Cover Top Plate will do the trick nicely. 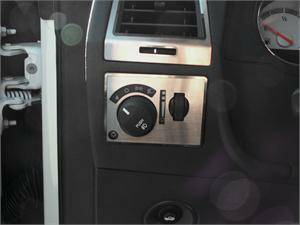 Description: American Car Craft Center Dash Trim Polished / Brushed: 05-10 300C / Charger / Magnum 301001. American Car Craft is a design company dedicated to developing unique high quality products. With more than thirty years of experience. Description: American Car Craft Dash Trim Ring (Headlight/Trunk) for the 11-14 Dodge Charger R/T 331003. 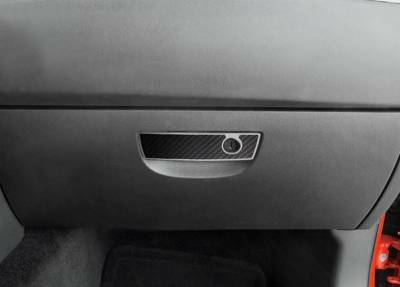 The All-New ACC Polished Dash Trim Rings are available in Polished Finish for the Dodge Charger 2011-2014. Take home the trophy w/ ACC Stainless! Description: American Car Craft Door Handle Trim Rings 2PC for the 08-14 Dodge Challenger (All Models) 151026 / 151027. 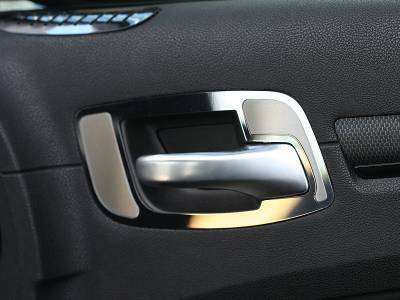 The all-new ACC Door Handle Trim Rings are available in BOTH Brushed and Polished Finishes for the Dodge Challenger! Description: American Car Craft Polished Firewall Cover for the 05-10 5.7L Hemi Chrysler 300C, Dodge Charger & Magnum 303005 / 303006. 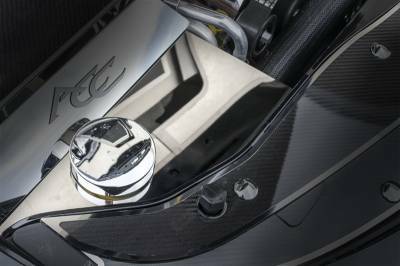 The ACC Polished Firewall Cover is another show winning piece for the 300C, Charger & Magnum 5.7L Hemi! 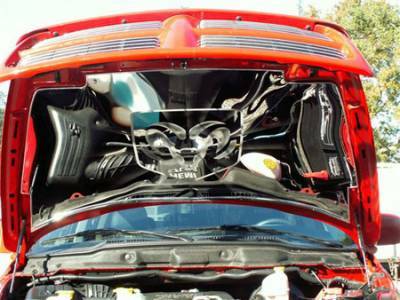 Description: American Car Craft Firewall Extensions for the 09-14 Dodge Challenger R/T & SRT8 153020 / 153021. 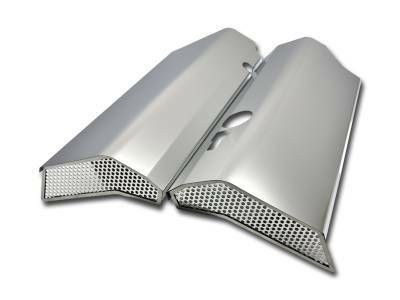 ACC Firewall Extensions are now available in BOTH Brushed & Polished Finishes for your 2009 2010 2011 2012 Dodge Challenger R/T & SRT8. Description: American Car Craft Fog Light Polished Billet Style: 05-10 Chrysler 300C 302001. American Car Craft is a design company dedicated to developing unique high quality products. With more than thirty years of experience. Description: American Car Craft Front Bumper Cap for the 04-06 Dodge Ram 1500 (incl SRT10). The ACC Front Bumper Cap for the Dodge Ram is available in both Polished and Brushed Finishes. Take home the trophy with ACC Stainless Dress Up Trim for your Ram!! 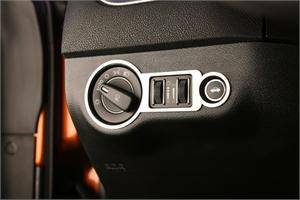 Description: American Car Craft Handle Pull Interior 4Pc: 05-10 300C / Charger / Magnum 301002. American Car Craft is a design company dedicated to developing unique high quality products. With more than thirty years of experience. 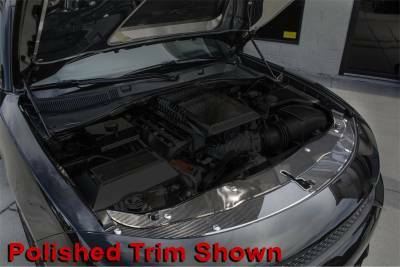 Description: American Car Craft Hood Panel for the 05 Dodge Ram SRT10 DSHP102 / DSHP103 / DSHP104. 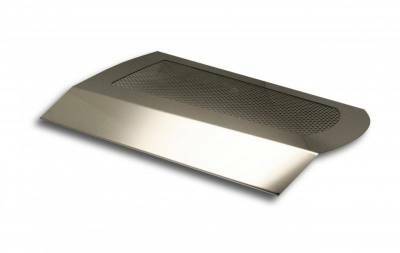 The ACC Hood Panel is available in both Polished & Brushed Finishes for the Dodge Ram SRT10. Take home the trophy with this ACC show stopper!! 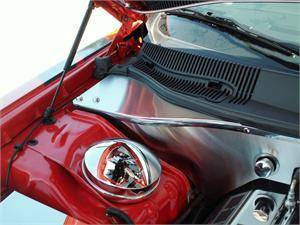 Description: American Car Craft Hood Scoop Overlay 2pc for the 08-14 Dodge Challenger 152013. 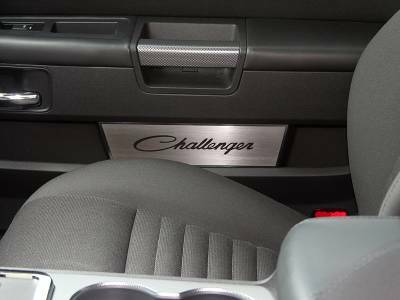 Dress up your Challenger with our Polished - Stainless Steel, Hood Scoop Overlay. 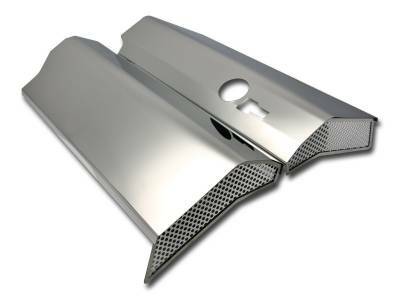 These trim pieces are designed to fit over OE hood scoop grille. 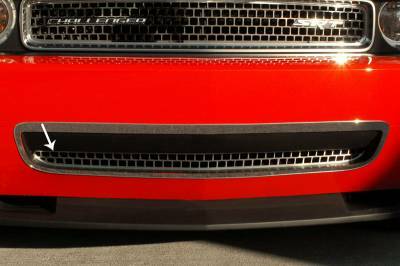 Description: American Car Craft Lower Grille Overlay for the 08-14 Dodge Challenger 152015/152016. 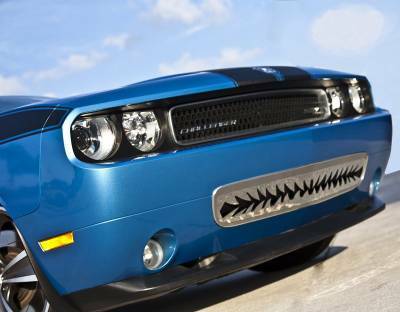 Dress up your Challenger with our Polished Stainless Steel, Lower Grille Overlay. 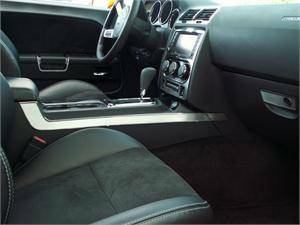 Please choose from 2008-2010 Challenger / 2011-2014 Challenger! 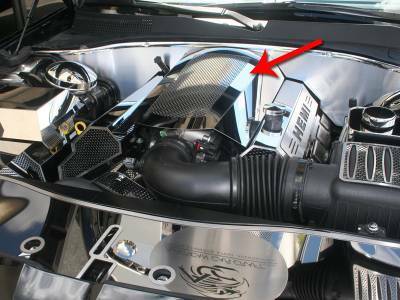 Description: American Car Craft Mopar Cold Air Intake Cover (Clear / Polished) for 11-16 Chrysler 300, Dodge Challenger & Charger 5.7L Hemi & 6.4L SRT8. Description: American Car Craft Perforated Plenum Cover for 11-17 Chrysler 300C / Dodge Challenger / Charger / Jeep Grand Cherokee SRT8 153058. 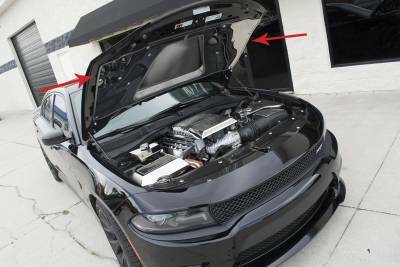 ACC has just released their Perforated Plenum Cover 6.4L SRT8 vehicles! 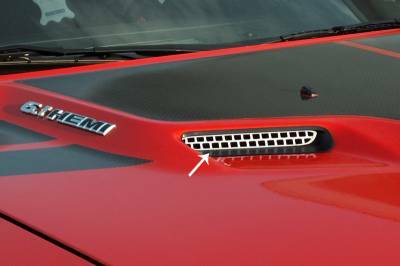 Description: American Car Craft Perforated Plenum Cover for the 06-10 Chrysler 300C / Dodge Challenger / Charger / Magnum SRT8 153026 / 153027. ACC has just released their Perforated Plenum Cover 6.1L SRT8 vehicles, standard or illuminated!! 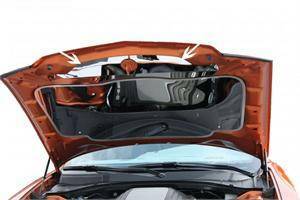 Description: American Car Craft Polished ABS Cover with Cap for the 08-14 Dodge Challenger R/T & SRT8 CHBC806. Another award wining stainless engine dress up part from ACC. Bring home the trophy with American Car Craft for your Dodge Challenger! Description: American Car Craft Polished Billet Hood Scoop Grilles 2pc for the 08-14 Dodge Challenger 152012. 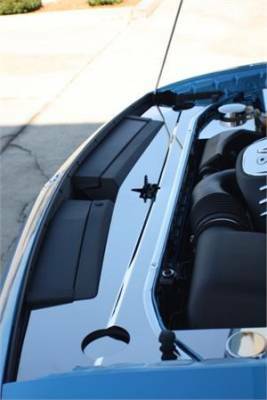 Dress up your Challenger with our Polished - Stainless Steel, Hood Scoop Billet Style. 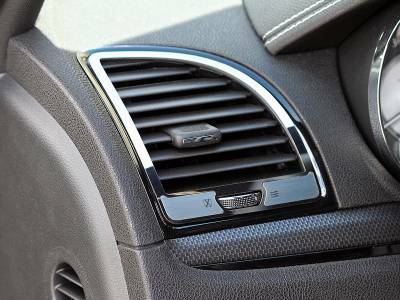 These trim pieces are designed to go over OE. 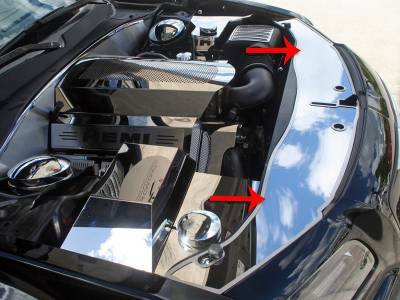 Description: American Car Craft Polished Engine Harness Cover: 06-10 300 / Charger / Magnum SRT 8 303016. 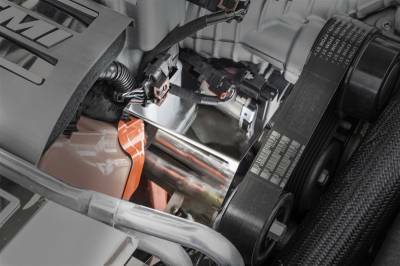 American Car Craft is known for its "award winning" line of stainless engine accessories. Take home the trophy with ACC Challenger Products! 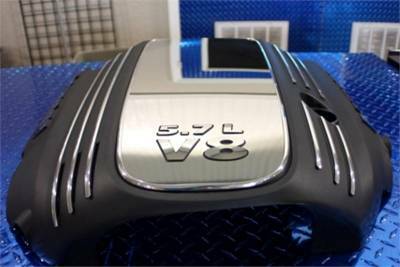 Description: American Car Craft Polished Engine Harness Cover for the 08-14 Dodge Challenger SRT8 153015. 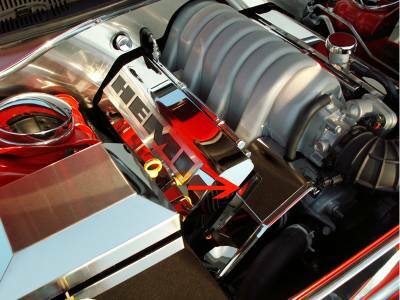 American Car Craft is known for its "award winning" line of stainless engine accessories. Take home the trophy with ACC Challenger Products! 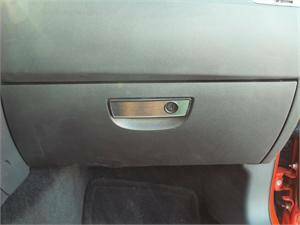 Description: American Car Craft Polished Fuse Box / ABS Cover w/ Cap for the 11-14 Dodge Charger R/T 333004. 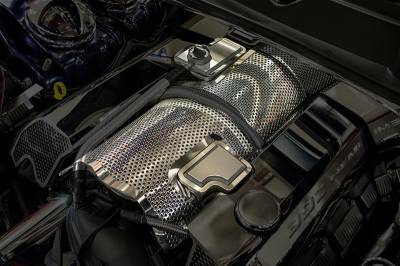 American Car Craft is known for its "award winning" line of stainless engine accessories. Take home the trophy with ACC Polished Engine Dress Up! 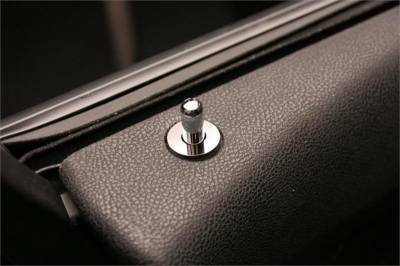 Description: American Car Craft Polished Fuse Box Cover for the 09-14 Dodge Challenger R/T & SRT8 CHFB805. 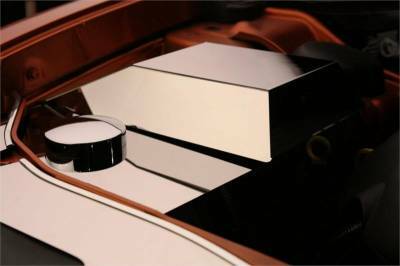 American Car Craft is known for its "award winning" line of stainless engine accessories. Take home the trophy with ACC Polished Engine Dress Up! Description: American Car Craft 4PC Polished Grille Overlay for the 11-14 Dodge Charger R/T 332005. 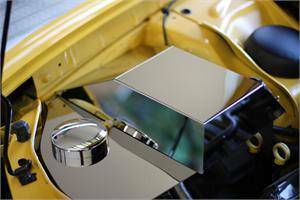 American Car Craft is known for its "award winning" line of stainless engine accessories. 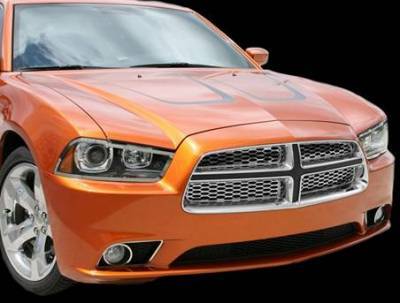 Take home the trophy with ACC Dodge Charger Products ! Description: American Car Craft Polished Header Plate Extension (6pc) for the 08-14 Dodge Challenger 153029. 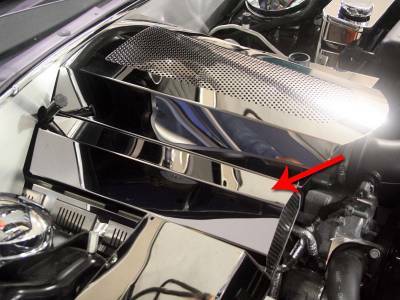 Description: American Car Craft Polished Header Plate (Radiator Cover) for the 05-10 Chrysler 300C 3CHP300. 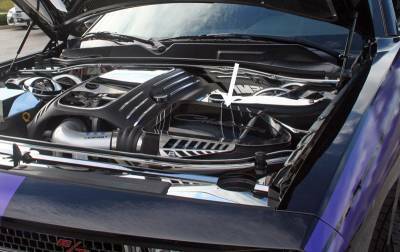 American Car Craft is known for it's show-winning stainless dress up parts for the Hemis. Take home the trophy with ACC Stainless!! 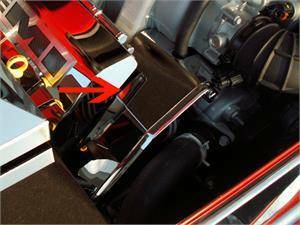 Description: American Car Craft Polished Header Plate (Radiator Cover) for the 06-10 Dodge Charger DCHP300. American Car Craft is known for it's show-winning stainless dress up parts for the Hemi vehicles. Take home the trophy with ACC Stainless! 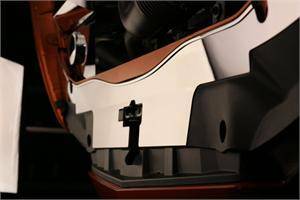 Description: American Car Craft Polished Header Plate (Radiator Cover) for the 05-08 Dodge Magnum DMHP300. 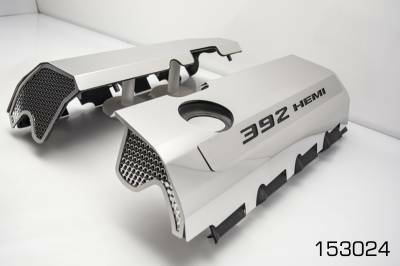 American Car Craft is known for it's show-winning stainless dress up parts for the Hemi vehicles. Take home the trophy with ACC Stainless!!! 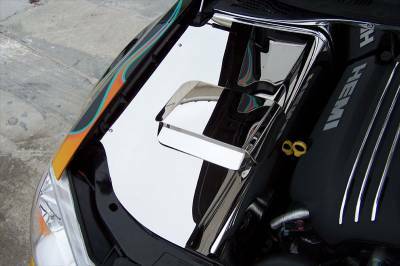 Description: American Car Craft Polished Hood Panel for the 08-14 Dodge Challenger SRT8 CHHP100. 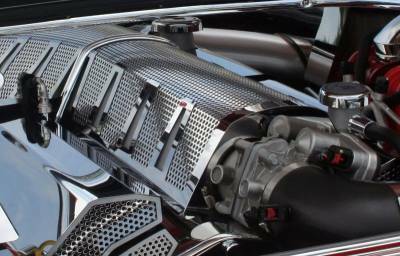 American Car Craft is known for its "award winning" line of stainless engine accessories. Take home the trophy with ACC Dodge Challenger SS Products! 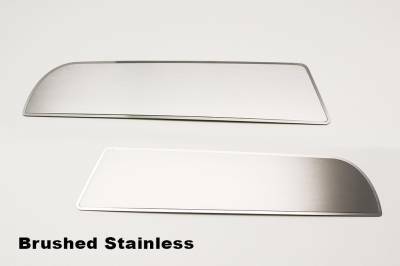 Description: American Car Craft Polished Hood Plate for the 08-14 Dodge Challenger (All Models) CHFH103 / CHFH104. 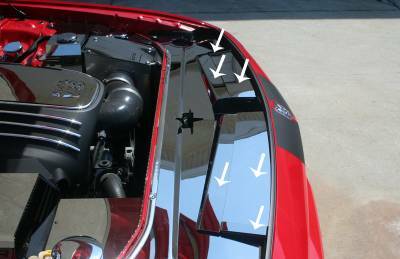 The Dodge Challenger Polished Hood Plate by ACC is available Plain or with HEMI Engraving. Take home the trophy with ACC Stainless!! Description: American Car Craft Polished Lower Grille Trim Ring for the 08-14 Dodge Challenger 152017 / 152018. 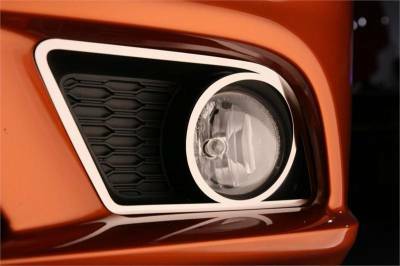 Dress up your Challenger with our Polished Lower Grille Trim Ring. Choose 2008-2010 Challenger or 2011-2013 Challenger!